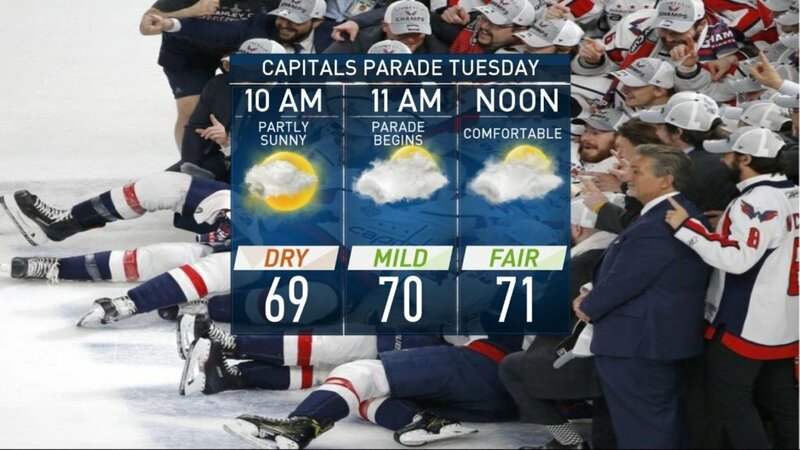 The Capitals will be holding their victory parade on Tuesday, June 12. It will be first championship parade in D.C. in years. Here's what you need to know. WASHINGTON — It’s not every day that a city gets to celebrate a championship. With the Capitals winning the first Stanley Cup in franchise history, D.C. will be celebrating in a big way with a parade through downtown, then a rally on the National Mall on Tuesday, June 12. Unlike previous events on the National Mall, organizers have not put together an extensive list of banned items, however there will be no alcohol, glass or drones allowed. The federal government will be open during the parade but the White House is encouraging agencies to grant employees two hours off during the festivities. More details can be found below. As with any big parade, there will be a slew of street closures and parking restrictions. Here’s what you need to know before the parade kicks off. The parade will kick off at 11 a.m. on Tuesday, June 12, starting at Constitution Avenue and 23rd Street Northwest near the Lincoln Memorial then proceeding along Constitution Avenue to Seventh Street Northwest, where it will culminate in a rally on the National Mall. The best viewing will be from 17th Street to 7th Street. 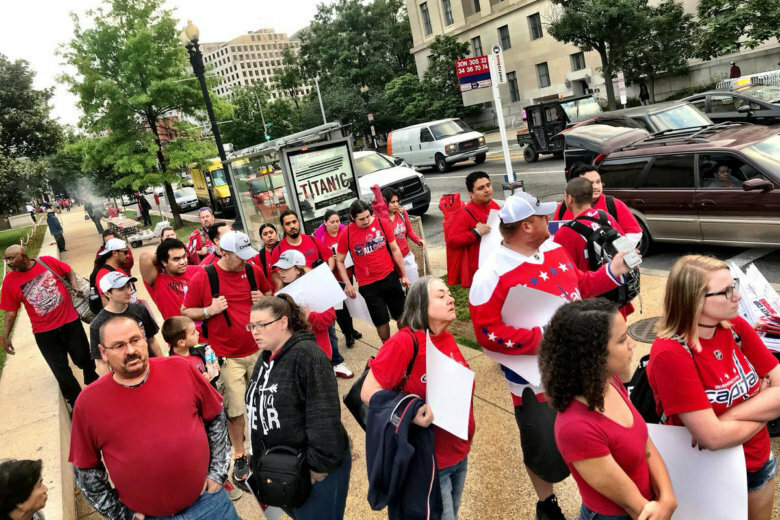 When the Capitals’ owner Monumental Sports submitted its permit application to the National Park Service, it requested an event stage on Seventh Street between Jefferson and Madison Drives in Northwest D.C.
One thing you can expect is a lot of people. In 1992, when the Redskins held a victory rally on the National Mall after winning the Super Bowl, more than 75,000 people showed up. The Washington Post said that rally was “smaller and more subdued” than previous rallies. More than 500,000 fans showed up for the Redskins’ Super Bowl parade and rally in 1988, which is what prompted the D.C. police to limit the celebration in 1992. D.C. Police Chief Peter Newsham said police have been planning for this parade for a while. 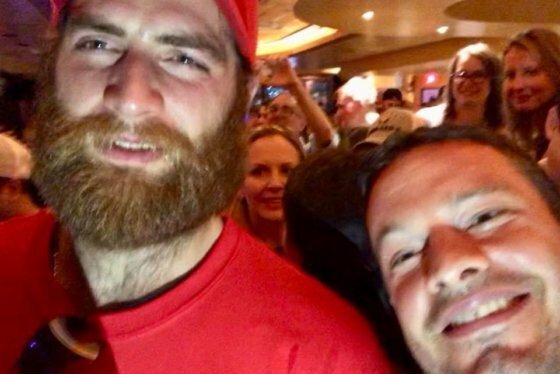 Thousands of people packed the streets around the Capital One Arena in downtown D.C. for watch parties during the Stanley Cup Final. And when the Caps actually won the Cup, police said they dealt with a mostly peaceful crowd. Another thing to expect: A flyover of four F-16s from the D.C. Air National Guard. They’ll start from Reagan National Airport around 11:25 a.m., proceed over the Potomac River toward Independence Avenue and 23rd Street Northwest, near the parade route. The park service’s Mike Litterst warns that there will be no crossing the parade route at all. So if you plan to attend the rally, expect to do so from the south side. The fencing will be up from 23rd to Sixth streets. It will be impenetrable, and will not allow any crossing of the parade route. Cross streets will close at 9:30 a.m. Tuesday, according to the park service. There will be no alcohol, no glass and no drones allowed. On the Capitals’ website, the team said fans are also “highly encouraged” to bring plenty of water. Sign up for on safety, transit and weather alerts by texting “ALLCAPS” to 888-777. ADA information for the parade will be posted on the District’s #allcaps website. According to the U.S. Office of Personnel Management, the government will remain open. However, “The White House is encouraging Federal agencies to grant employees in the Washington, D.C. area two hours of administrative leave between the hours of 10:30 a.m. and 2:30 p.m. to attend the parade,” according to the office. Seventh Street will be closed from Constitution Avenue NW to Independence Avenue SW during the same time. Closures are subject to change. Motorists whose vehicles are towed should call 202-541-6083. With all the street closures and parking restrictions, public transportation is probably your best bet at getting to and from the parade. Metro announced Friday that it will operate rush-hour service levels throughout the day to accommodate the thousands of fans expected to descend upon the area. Metro will open at 5 a.m., and trains will depart end-of-line stations every eight minutes, with service as frequent as every two to four minutes at downtown stations served by multiple lines. Hundreds of additional Metro employees will be on hand to help out as well. Metro expects the busiest stations to be Archives, Arlington Cemetery, Foggy Bottom, Federal Triangle, Metro Center, Federal Center SW, L’Enfant Plaza, Smithsonian, Union Station and Gallery Place. Metro Transit Police might wind up making temporary changes to some stations to ensure passenger safety, such as designating some station entrances as “entry only” or “exit only” or turning off escalators where crowding conditions warrant. If some stations become overcrowded, trains might temporarily bypass it. Crowded platforms might also cause trains to slow speeds as they enter select stations, which could also result in some brief delays. Metro also said fans can grab a rally signs when leaving most stations in downtown D.C. on Tuesday. See more about Tuesday service on the WMATA website. DDOT will also extend bike corral hours until 3 p.m. to create additional parking for Capital Bikeshare bikes. The Maryland Transit Administration announced all of its D.C. Commuter Bus routes will be affected by the parade. Details on Tuesday’s changes to commuter bus service can be found on the MTA site. MARC and VRE are planning to operate on a regular schedule as well. Loudoun County will have no premium commuter bus service from Crystal City, the Pentagon, Rosslyn or D.C. Tuesday afternoon. See more about Tuesday service on the county website. It looks like the weather should cooperate for the parade. Tuesday is expected to be partly cloudy with a high in the 70s. Visit the weather page for the latest updates, follow WTOP on Twitter @WTOP, and listen to live weather reports every 10 minutes on 103.5 FM or via the online stream. View: Latest weather radar and current temperatures. See a map of current traffic conditions on the WTOP traffic page or the WTOP app. Download the app today to signup for customized traffic alerts. You can also follow @WTOPtraffic on Twitter and listen to live traffic reports every 10 minutes on 103.5 FM or via the online stream. When was the last time D.C. saw a parade like this? The District is certainly no stranger when it comes to hosting parades and marches. Hundreds of thousands of people attended the March for Our Lives on the National Mall earlier this year. It has been awhile since D.C. saw a victory parade, however. After the Redskins won Super Bowl XXVI in 1992, more than 75,000 fans showed up a celebration on the National Mall. The Washington Post reported that crowd was actually a lot smaller than what was originally expected, largely because police wanted avoid a repeat of what happened of the Redskins parade and rally in 1988. After the Redskins won the Super Bowl in 1983, they held a 12-block parade along Constitution Avenue that saw more than 500,000 people come out to cheer the team in the rain. That crowd was much more subdued, and there were no arrests or serious injuries related to the parade. Perhaps the longest parade was after the then-named Washington Bullets won its only NBA title in 1978. The team celebrated with an 11-mile parade stretching from the Capital Centre in Landover, Maryland, to RFK Stadium with stops at the White House along the way. The Washington Post said more than 100,000 people lined the parade route. When the Washington Senators won their only World Series in 1924, more than 100,000 people lined Pennsylvania Avenue for a victory parade. Will there ever be anything like this again? If the Nationals can keep playing this well in October, sure, why not?